Apply to enrol your child today. Places for 2019 are currently available at SMB, Mt Helen and Gippsland. Through family involvement children develop a sense of continuity and community between home and the centre. 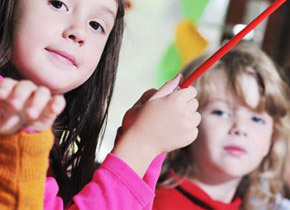 FedUni Children's Centres offer childcare as well as kindergarten programs. FedUni Children's Centres, located at Mt Helen, Ballarat CBD (SMB) and Churchill provide quality childcare and kindergarten programs for children aged 6 weeks to 5 years. Centres offer a caring and supportive environment with flexible and stimulating learning experiences. 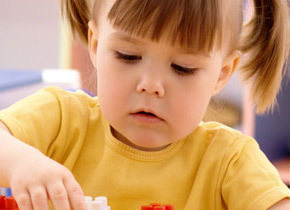 The acquisition and development of knowledge is central to the education of young children. A team of knowledgeable adults, who embrace and engage with the complexities of teaching enriches our work as well as improves the educational outcomes for children. We see a fostering and commitment to ongoing learning amongst educators as being central to our work and underpinning our educational practices. Relationships take time to build and contributes to well-being, understanding of others, and supports collaboration. Working with children and families requires educators to commit to collaboration and in doing so view their work as being undertaken with the support of others. A mindset that supports success, is full of possibilities and is positive, ensures that we don't limit ourselves. An environment which supports reflection, contemplation, wonder and awe creates facilities learning for all. In doing so we foster a sense of pride that gives permission for us to be proud to be different. Education is about making a difference to the lives of children. The difference we make should last a life time and have an impact on children, their families and their communities. The environments we create have an impact on educational outcomes and the work we do. In creating these environments we need to take into consideration the context in which we are situated and the power of the built environment and nature in impacting on our lives. FedUni Children's Centres are located at the Mt Helen and SMB campuses, and offer childcare as well as kindergarten programs. FedUni Children's Centre families are encouraged to be involved in the centre. Through family involvement children develop a sense of continuity and community between home and the centre. Apply to enrol your child today! Childcare and kindergarten places currently available.